First Corinthians 10:6 and 11 says all the things that were written in the Old Testament were written for our learning and admonition so that through them, we might learn what to do and what not to do. This teaching looks at the life of David, the only person the Lord called "a man after mine own heart," and makes direct applications to our lives today. It is encouraging to see how wonderfully God used David, and yet realize that David wasn't God's first choice. In this teaching, Andrew proves that Saul was not a "fill-in" until David grew up - he was God's original and first choice to rule. In 1 Samuel 13:13 the Lord said if Saul would have obeyed Him, his kingdom would have been established over Israel forever. We never would have heard of David if Saul hadn't blown it. So if you don't feel like the most qualified person, take heart. God is not looking for your ability, but your availability. You don't have to be a silver vessel, just a surrendered one. 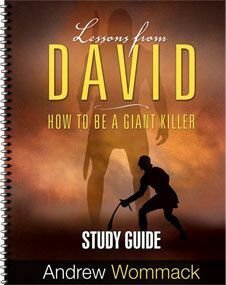 There wasn't any physical trait that gave David the edge over other Israelites. It was his heart and trust in God that allowed him to kill Goliath. 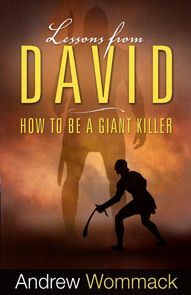 Here, Andrew reveals several things that made David the giant killer he was. 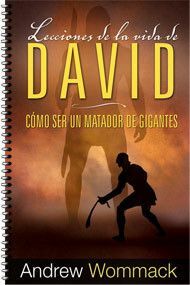 The good news is that anyone can think and believe the way David did and begin to slay the giants in their own life. This teaching contrasts three kings: Saul, David, and Absalom. Of the three, David was the only one with God's favour. This wasn't because God sovereignly chose David and rejected the others. Saul was once chosen by God too. But there were certain things in David's life that set him apart for God. It wasn't just holy living. David committed sexual sins that Saul and Absalom never did. Yet David was the one who God exalted. Find out why as Andrew contrasts these three kings. 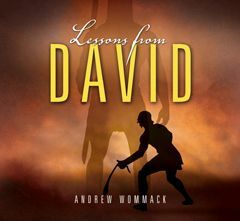 You can learn things the way David did—through hard knocks—but it's not recommended. 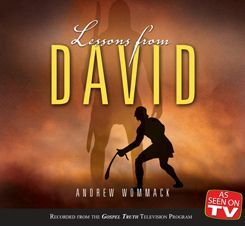 Or, you can choose to learn from David's hard knocks and save yourself the trouble! David thought that as long as he was serving God, it didn't matter how he did it. That didn't work out so well! Listen to this message to learn why it's best to follow God's order. David was a great man of God but he blew it as badly as any person in scripture. The Bible very candidly reveals David's sin and its consequences so that we can learn how to avoid the same mistake and recover if we don't. The root of David's sin wasn't lust or murder, it was despising the Lord. A revelation of this will dramatically change your life forever.